Coin Dozer is a game you can play regardless whether you own an Android or iOS device. This title is described as the virtual version of the addictive arcade coin pusher you’ve spent hours playing at the carnival. You have to drop gold coins onto the titular Coin Dozer, and as you do this you’ll be encountering some special coins. 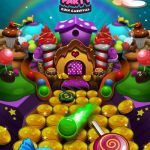 However, it’s not as easy as it all seems – you’ll want to avoid “(dozing) the prizes off the sides.” All in all, this is a game that boasts of stunning graphics, a good variety of puzzles to complete, and, as mentioned, tons of special coins and prizes. 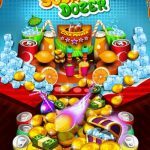 And here’s how you can get more prizes – a list of Coin Dozer cheats, tips and tricks for you to check out. Dropping one coin individually is fine, but what about dropping three coins all together at once? That would actually be a better strategy, as you’ll be landing them with more force as they drop onto the platform. That will also allow you to move the coins and prizes to the slot faster. As a helpful hint, all coins that are dropped on the slots will go toward the number of coins you’re allowed to drop. 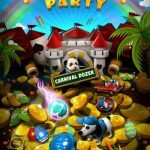 As this is a mobile version of the coin dozer games at carnivals and fairs, you can collect several prizes you may have seen at those events – we’re talking bears, fish, sunglasses, and toy cars, to name a few. These prizes come in four colors, and if you collect all of those colors, you’ll get a tidy bonus. Make sure you’re dropping the coins on the proper slot – dropping them on both the left and right side of the platform before pushing them in the middle would help you avoid the pitfall of dropping the prize on the side. Any coins that drop on the side of your platform will not be added to your total coins; rather, they’ll all go to the Coin Shaker on the right side of your display. If your Shake Meter is full, you can use the Coin Shaker by tapping on the meter. This will allow coins and prizes to fall on the slot, but you should only use the shaker if there are prizes or special coins that are especially near the slot. The Wall Coin is one of the special coins you’ll bump into in Coin Dozer. For a few seconds, this will bring up a wall on both sides of the platform, thus preventing coins and prizes from falling on the sides. As the wall is just temporary, you should make the most out of the Wall Coin and only use it when you really need it. 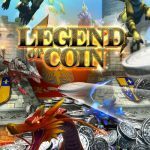 Typically, you’ll want to use the Wall Coin and drop it only when you’ve got at least ten coins. Are they still making new levels on coin dozer?